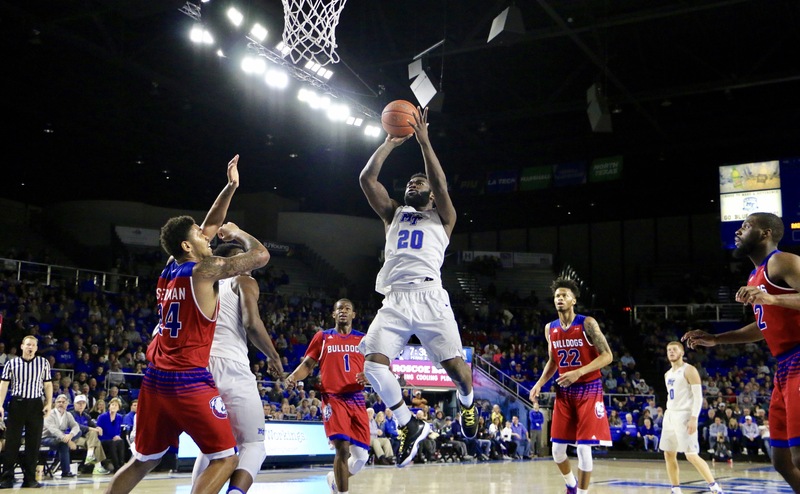 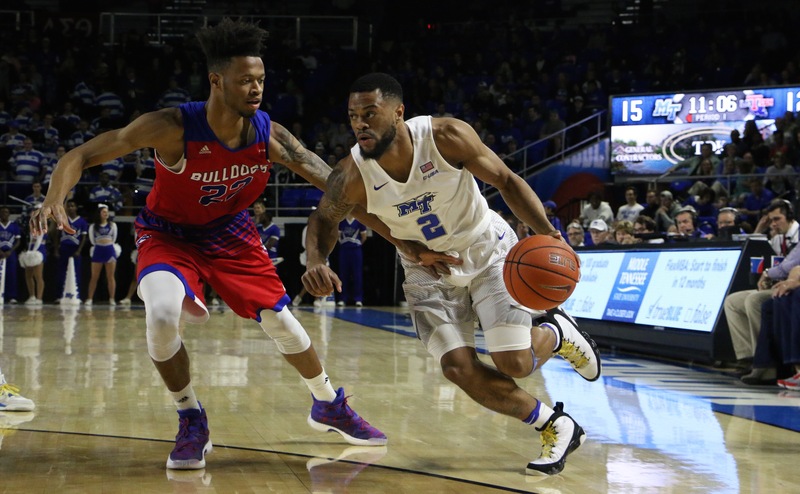 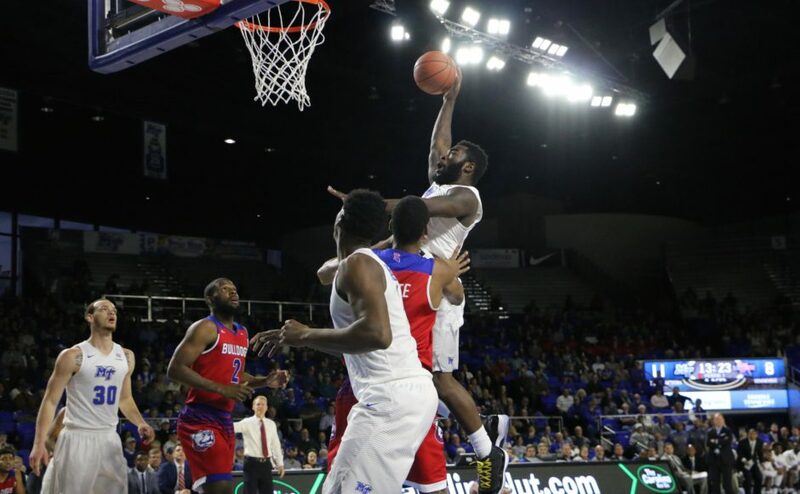 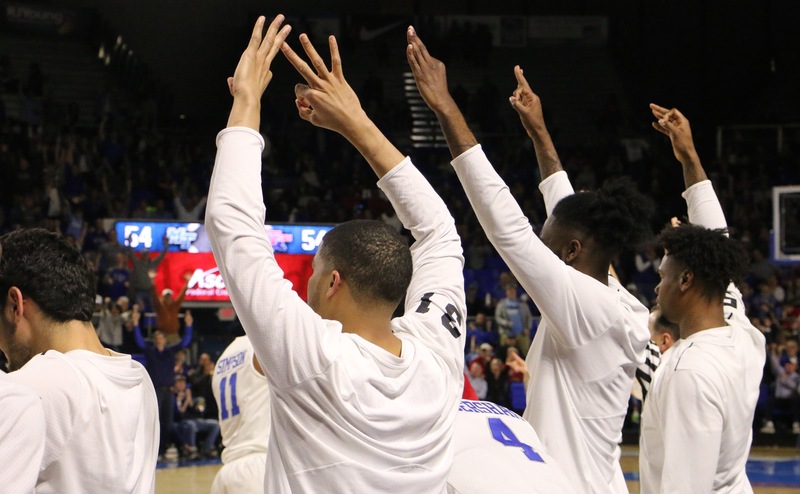 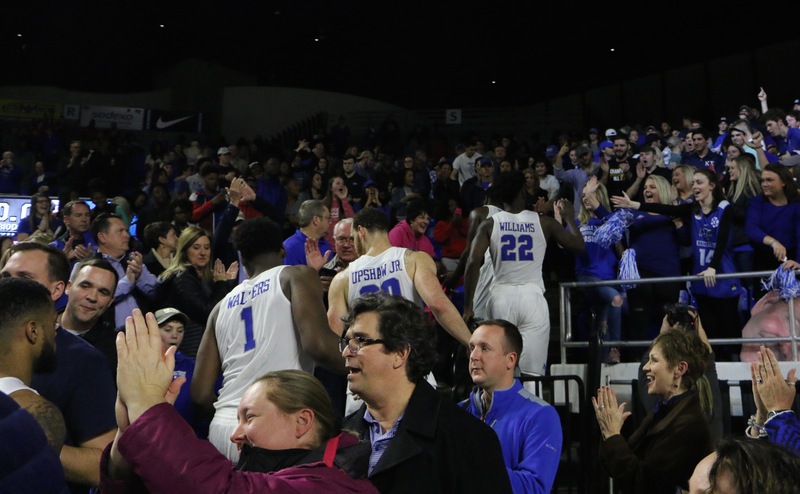 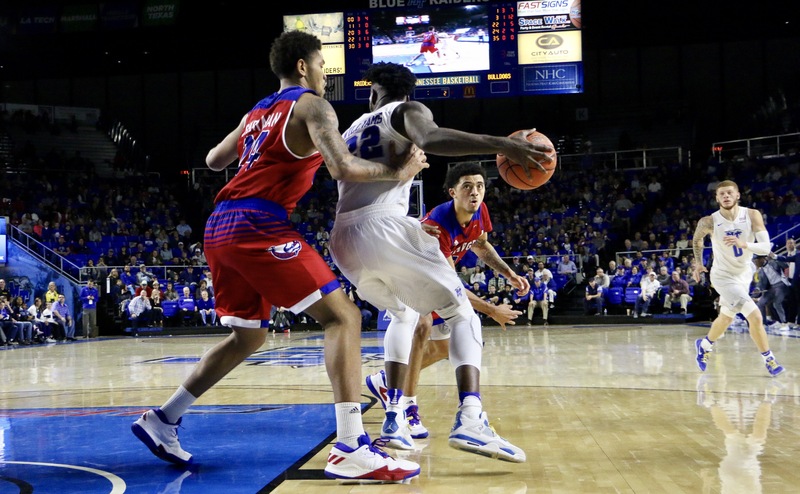 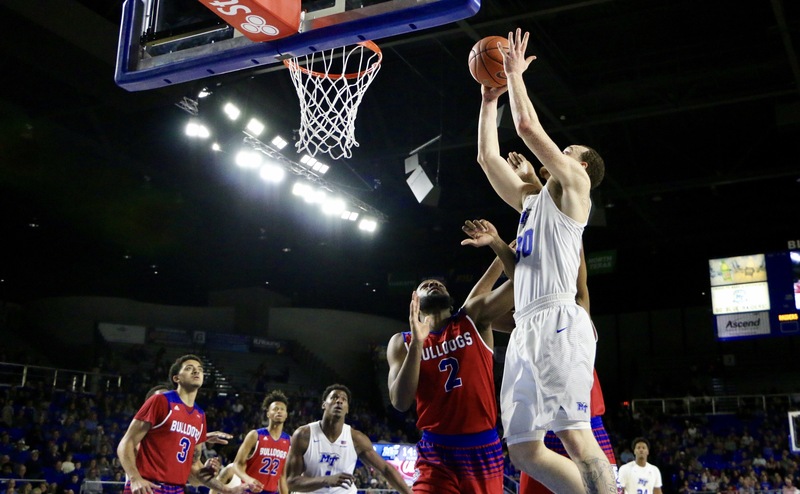 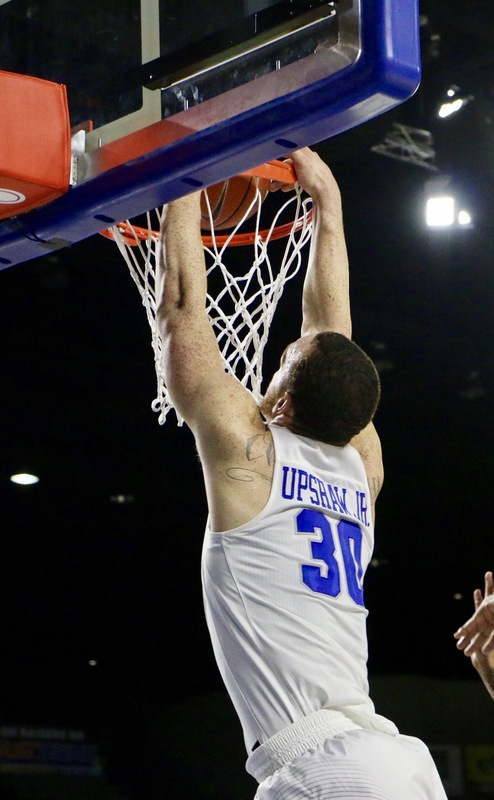 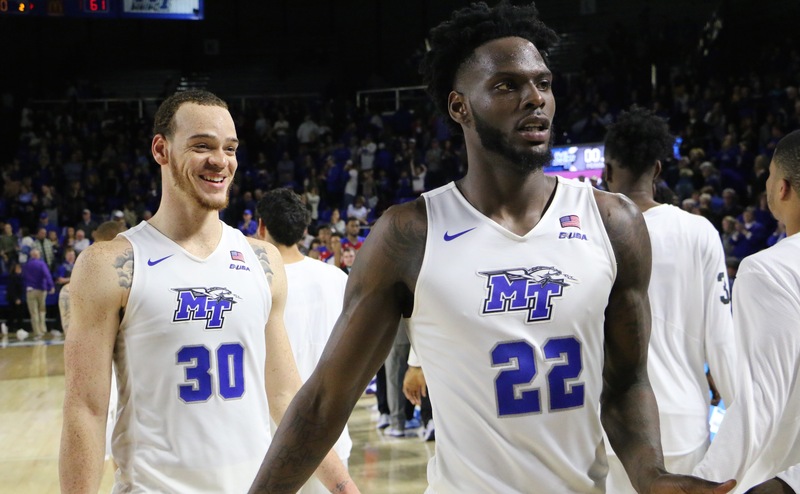 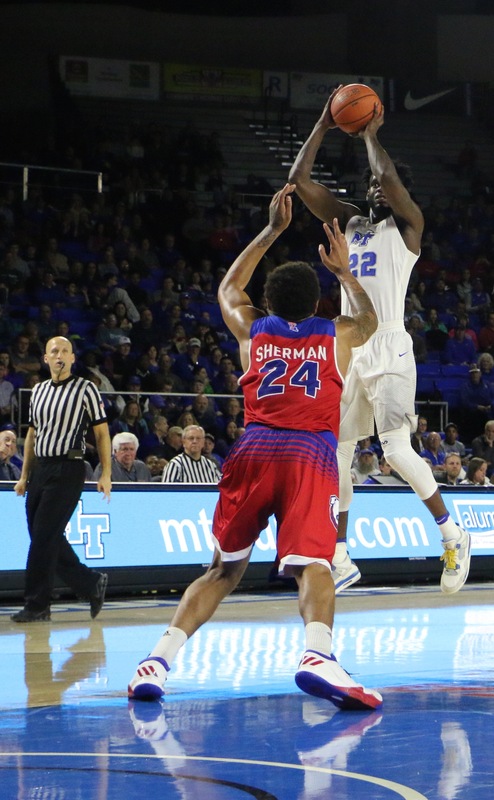 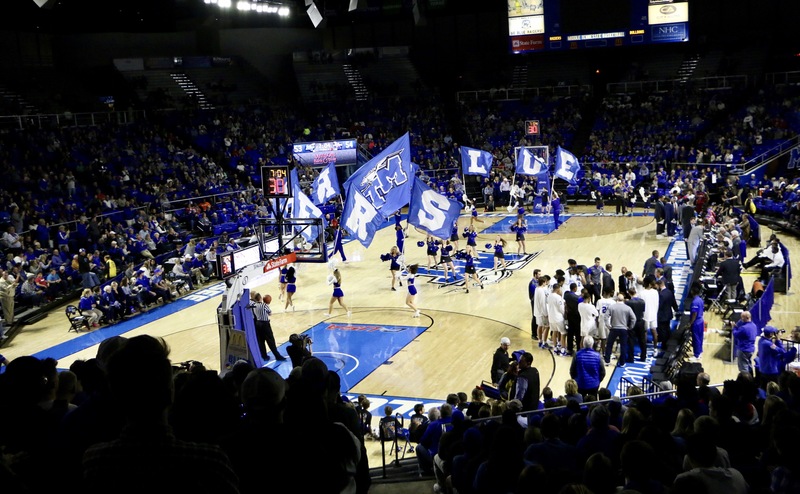 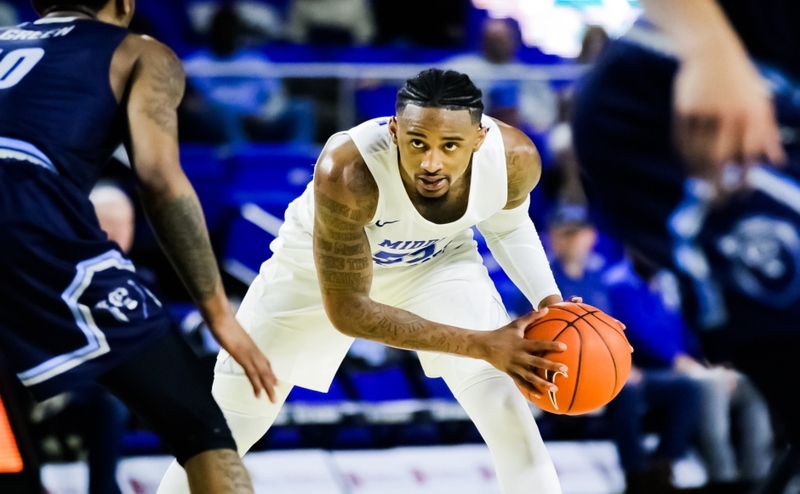 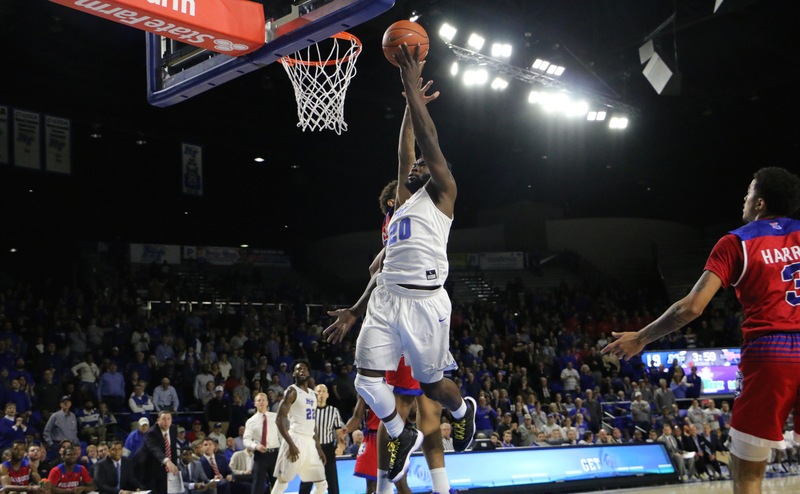 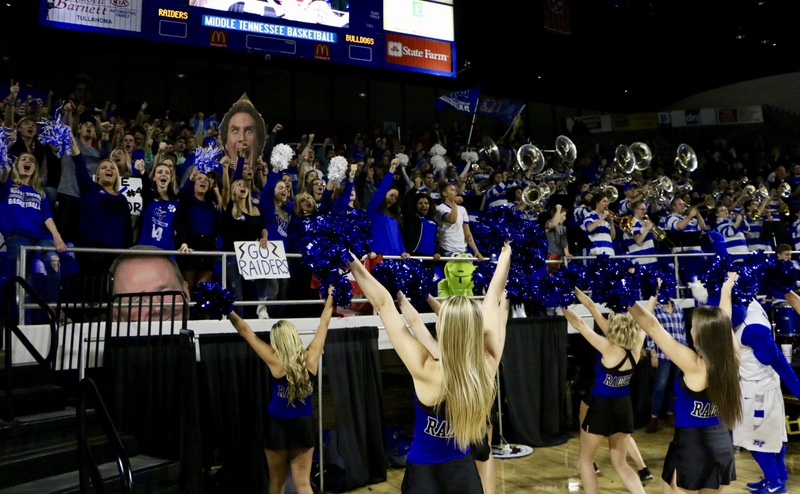 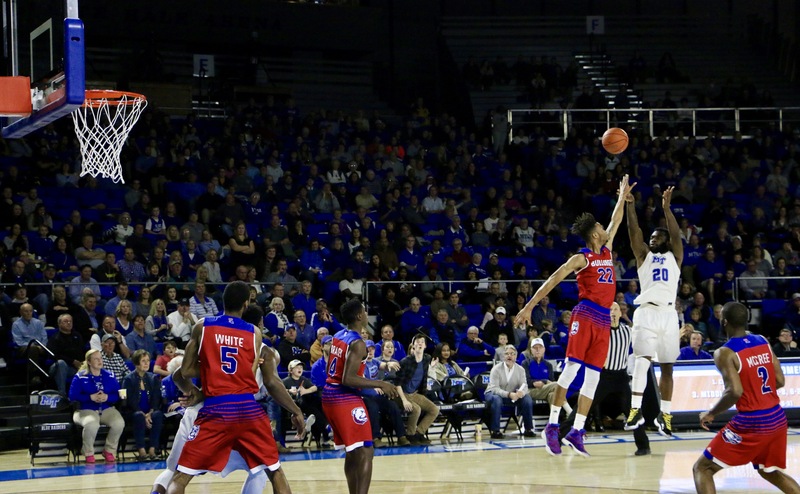 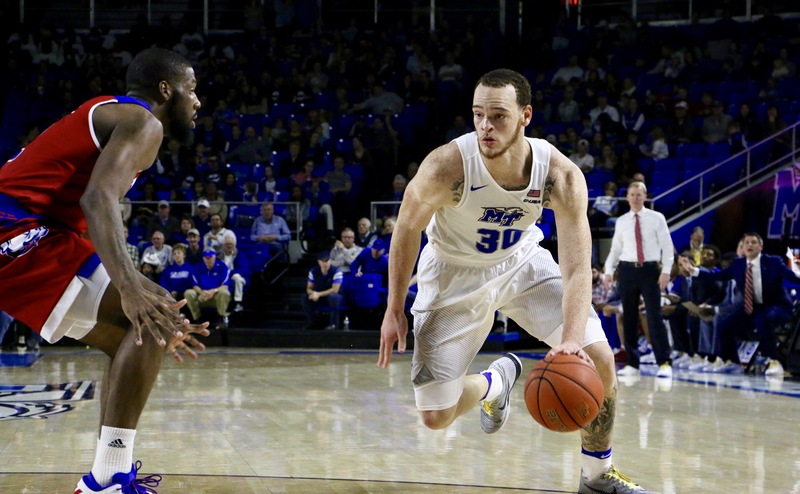 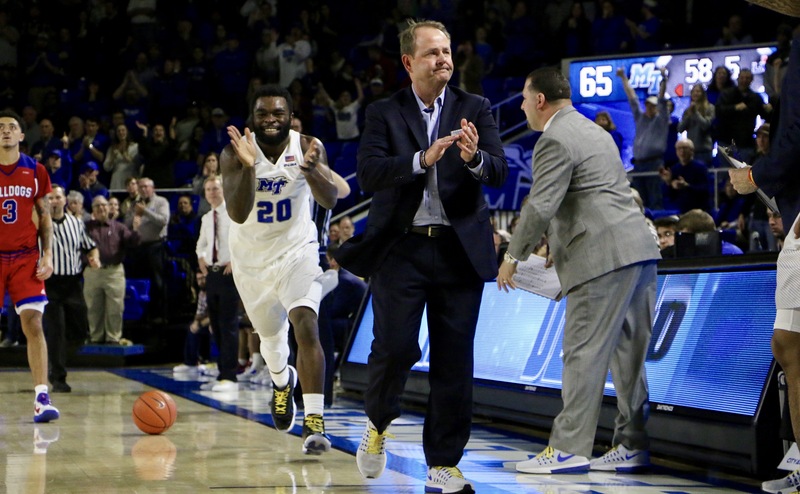 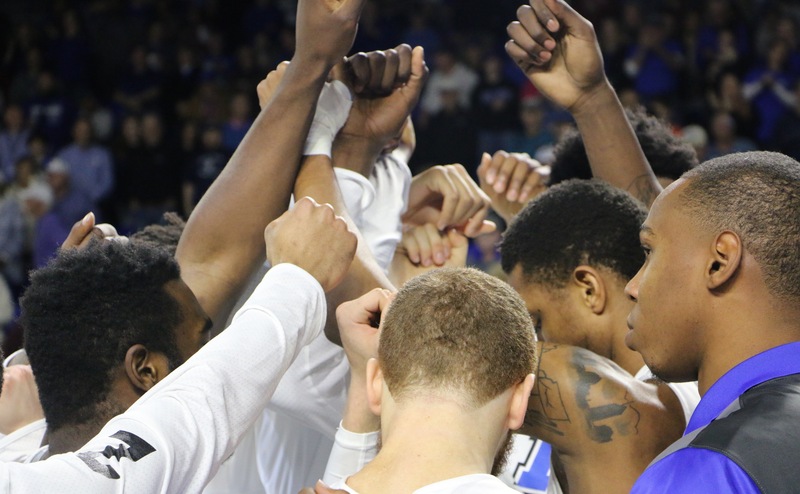 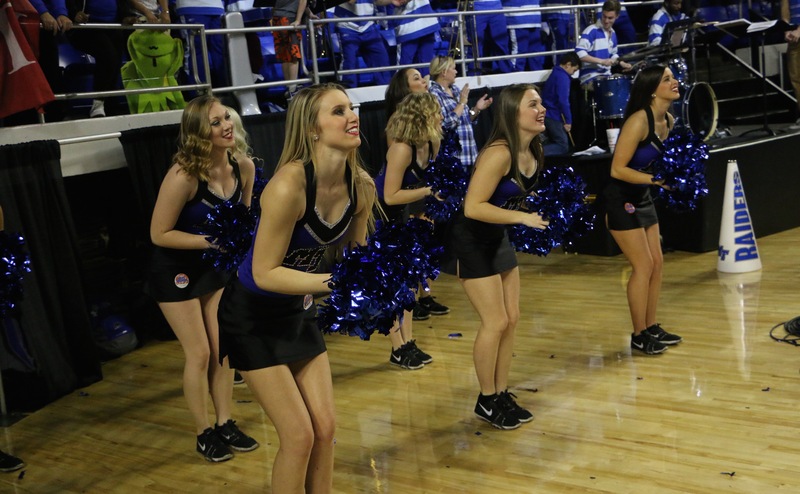 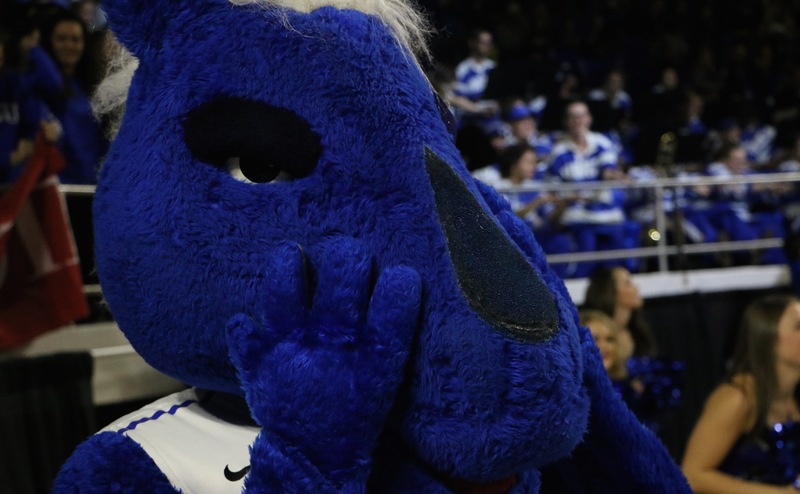 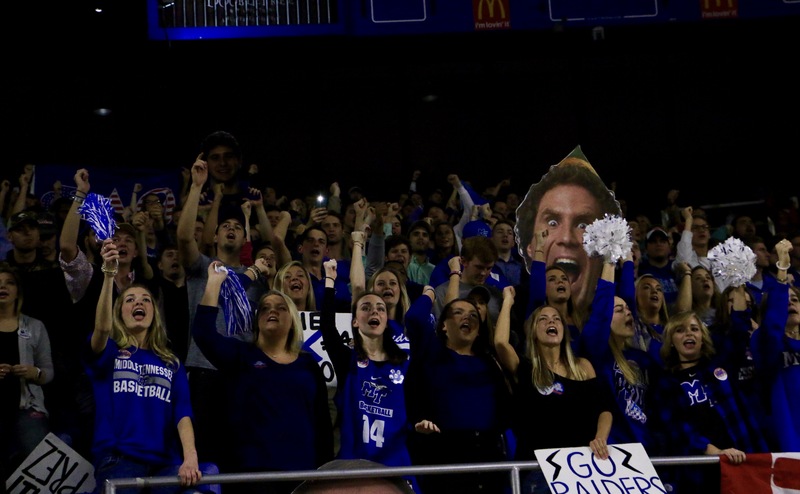 The Blue Raiders (19-3, 9-0) had their hands full when they went up against the Louisiana Tech Bulldogs (14-8, 6-3) Saturday night at home. 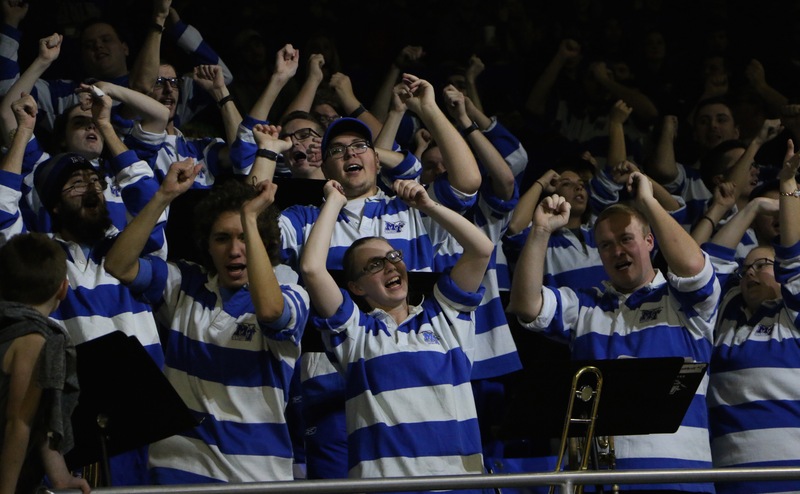 Down 28-17, the team stormed back to not only take the lead, but run away with it as well. 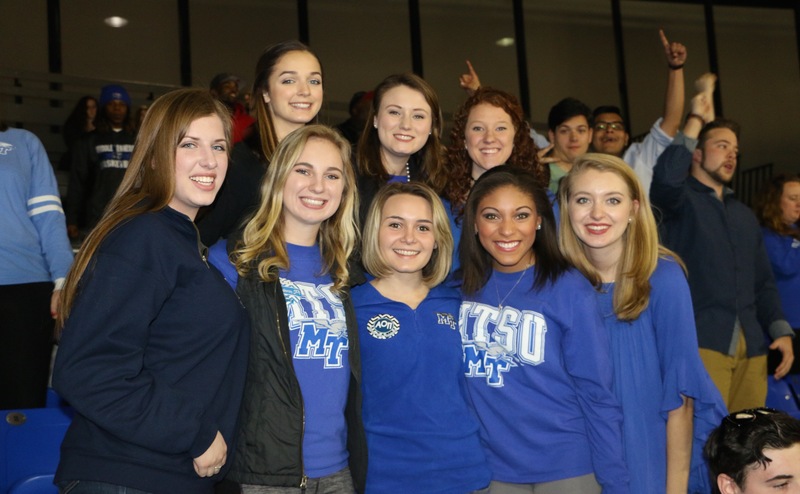 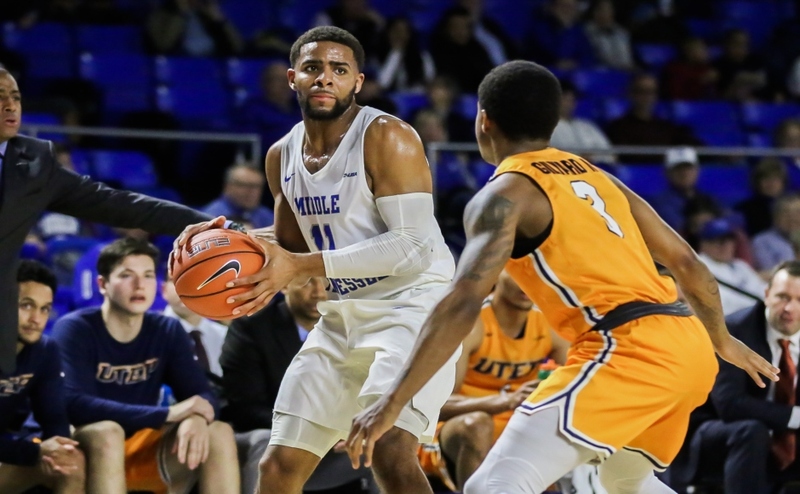 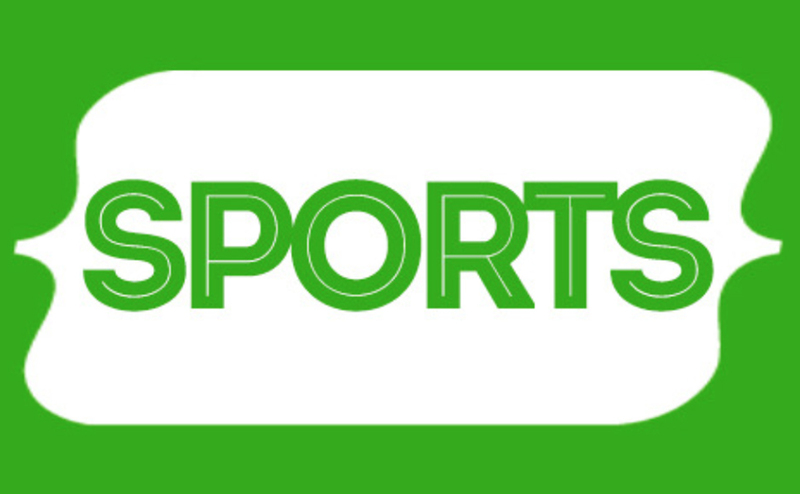 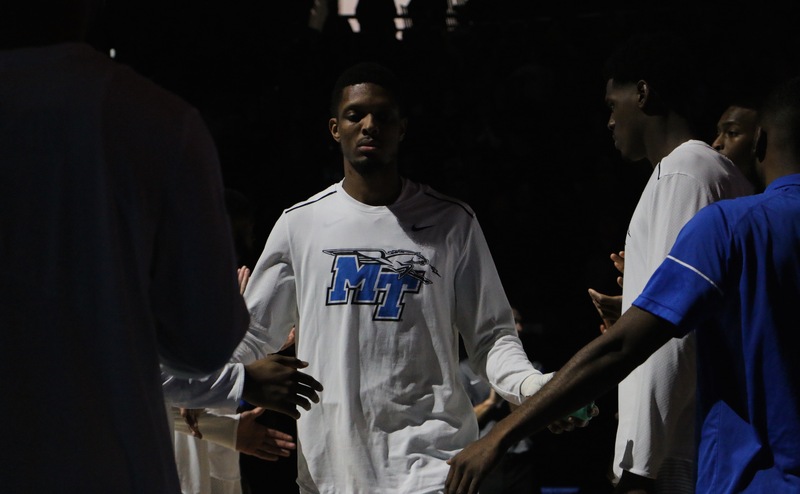 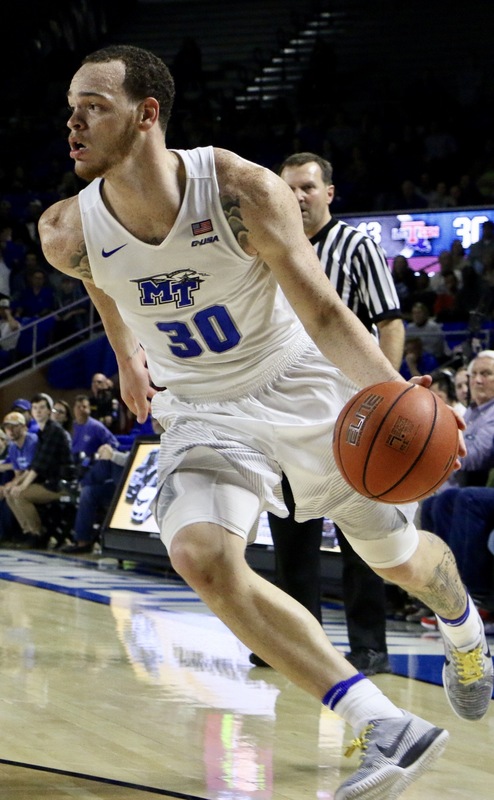 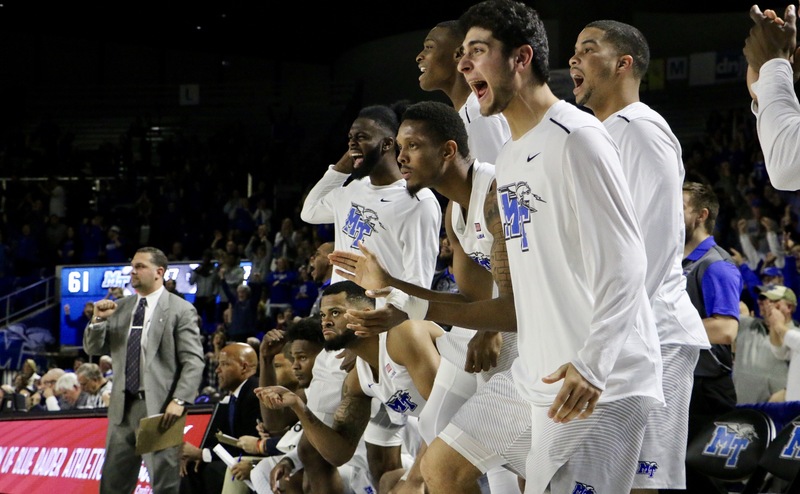 MTSU would go on to win by 10 points, 71-61. 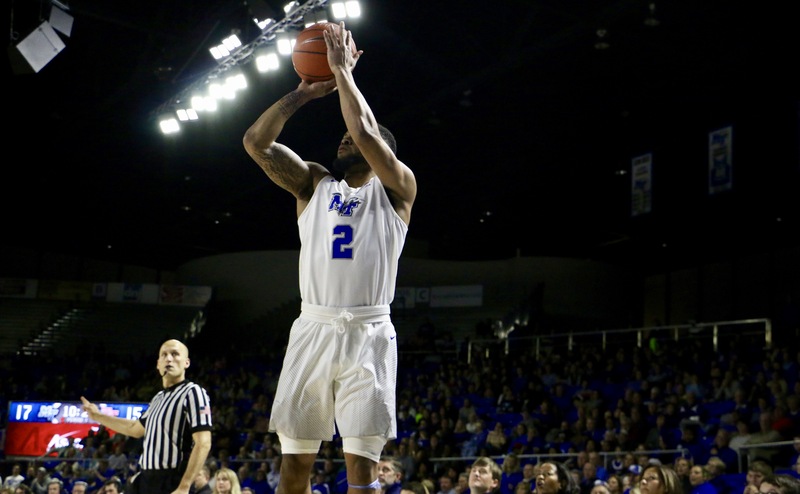 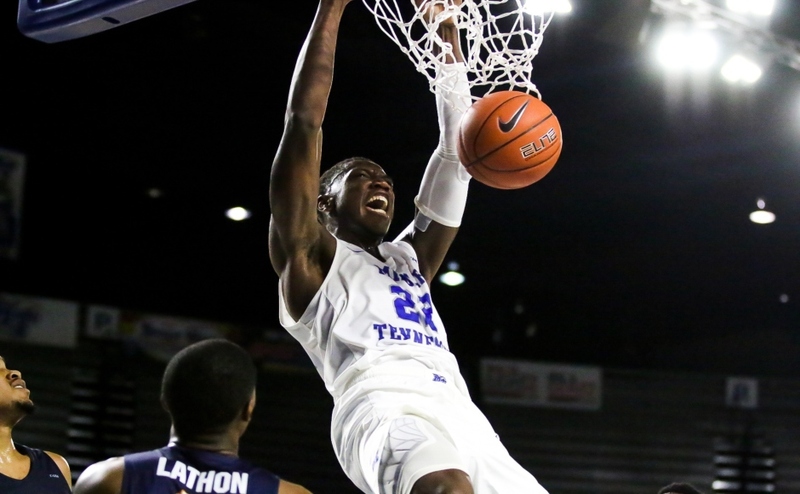 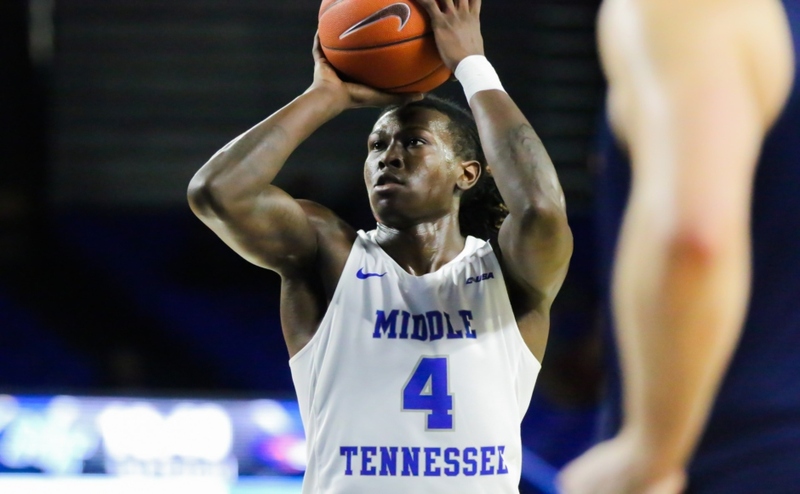 Middle Tennessee was lead by JaCorey Williams with 19 points and 11 rebounds. 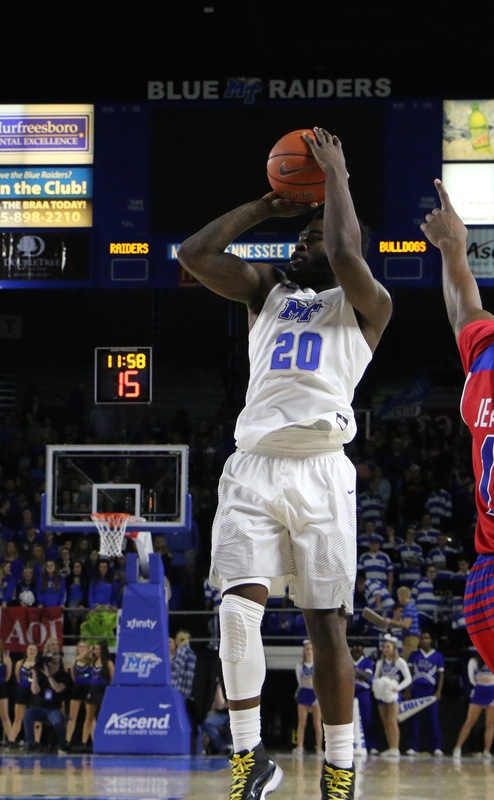 Giddy Potts followed closely with 17 points and seven rebounds while Upshaw contributed 14 points of his own. 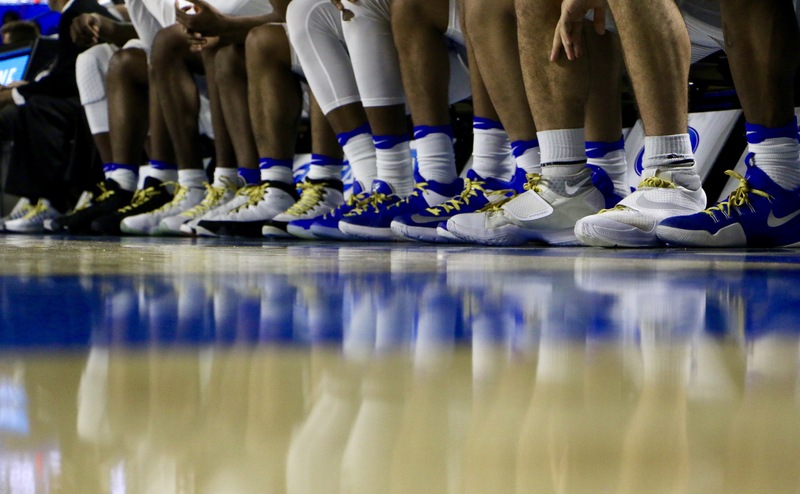 Aside from the action on the court, both team’s were supporting college basketball’s Coaches vs. Cancer week by “Lacing it up for Lacy”, a young girl who loved basketball, but tragically lost her battle with cancer at the age of eight in 2014. 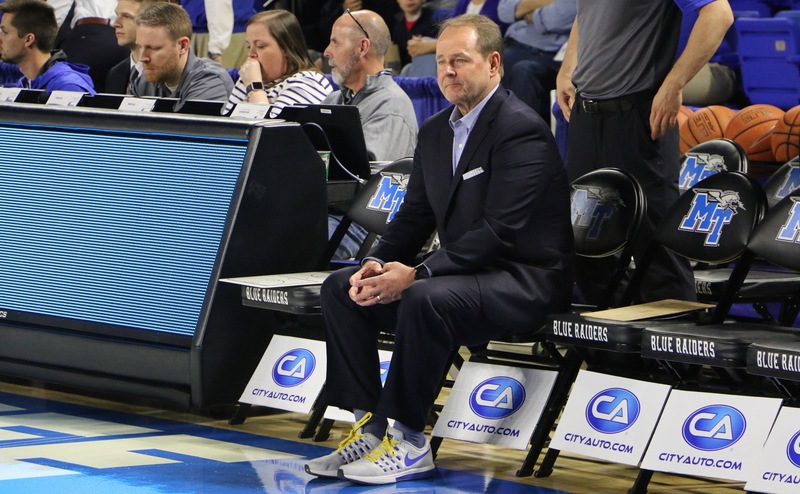 Saturday night, both team’s coaching staffs wore sneakers and suits, while the players wore neon shoe strings.